Tomorrow is World Aids Day. What can you do to contribute? Well you can download 4th Child's brilliant new single 'Lovers & Best Friends' right now over on iTunes, TuneTribe and Napster. 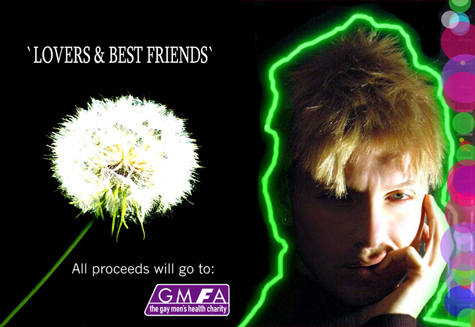 All proceeds from the single purchase will go towards The Gay Men's Health Charity and in my opinion - it's a worthy cause. Lee (aka 4th Child) explains that the organization was in crisis due to lack of funding, so you can do your part by spending just 79p on this brilliant electronic single right now, which despite most charity records - this one is actually good. You can view the video over in EQ TV right now. Do it for a worthy cause. Just downloaded this song...it's amazing. LUV it...so so good.